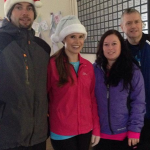 Thanks to everyone who came along to the Resource centre today to support the Goal Mile. 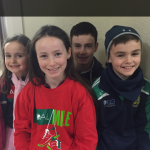 Goal Miles are held in over 140 local communities across Ireland with an estimated turnout of 30000 participants each year. Runners, walkers and joggers young and old turned out despite the bad weather. A special word of thanks to the resource centre volunteers and the marshalls. 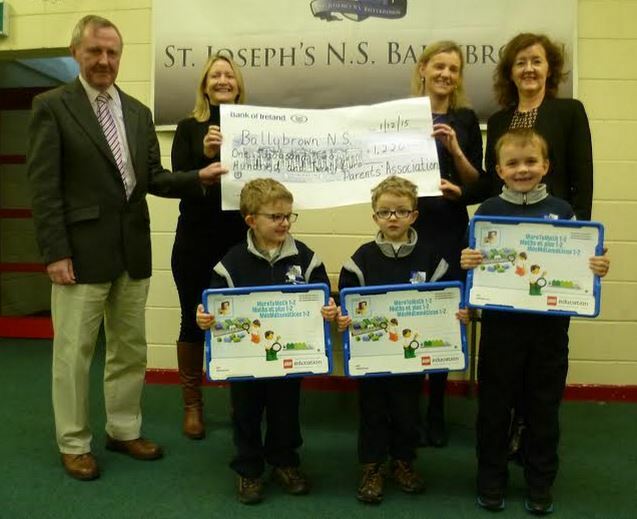 Very happy to raise almost €500 for Goal who work tirelessly to help the poorest and most vulnerable in our world. 45 DRIVE: The weekly 45 card drive in aid of the Ballybrown Community Resource Centre continues each Thursday night at 8.45pm and your support would be greatly appreciated. The winners for Thursday December 10 were as follows: 1st prize, €100 went to Eugene Quinn and Gerry Moran with 10 games while Anna Roberts and Mary Kenny took second prize, €60 with 8 games. The table prize went to Junior Hogan and Jimmy McNamara. Raffle ; 1st / €30 Mary Murphy, 2nd/ €20 Margaret O’Brien, 3rd/ €20 Junior Hogan, 4th/ €10 Eugene Quinn, 5th/ €10 Gerry Moran and 6th/ €10 Richard Kennedy. We are expecting a big turnout next Thursday December 17 for our Christmas 45 Drive. There will be loads of prizes so please come along and we guarantee a great night out for just €5, and of course bring a friend. If you don’t have a partner don’t worry we will sort you out on the night. Merry Christmas and a Happy New Year to all our supporters. We will be taking a break after the 17th for the Christmas Holidays and the 45 drive will resume in 2016 on January 7 at 8.45. Why not make it your new years resolution to come to the cards on a Thursday night. Thanks. COMMUNITY GAMES: Art Competition – We had 37 brilliant artists take part in our annual art competition on Friday December 11 in the Resource Centre. Art work has now gone to be judged. Draughts will finish up for the Christmas break this Wednesday December 16 and will resume again in the New Year. 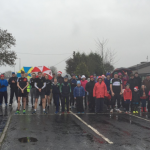 GOAL MILE: Once again the Goal Mile will be taking place at 12 noon on Christmas Day from the Community Resource Centre. Run, walk, jog and donate to Goal. AFTERNOON TEA, A PERFECT CHRISTMAS GIFT FOR SOMEONE SPECIAL. 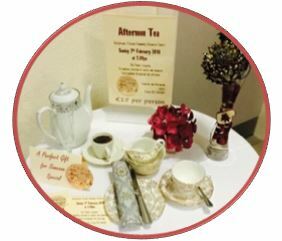 This extra special event with hot punch reception, a selection of sweet and savory delights and an afternoon of entertainment will take place on Sunday Feb 7 at the Community Resource Centre – Tickets are €15 each. We have limited availability and tickets are in huge demand. Gift cards available. In order to avoid disappointment contact Eithne at 087 6487807 to book your place.